The book of Jonah does not say who wrote it and it is unlikely that Jonah was the author because the story is not very favorable towards Jonah. No writer in the Bible tells such a bad story about himself. Jonah was a prophet in the land of Israel about 800-750 BC. During this time, Israel shared its northern border with Syria. When the army of Syria defeated the army of Israel in war, it took some of Israel’s land. Then the army of the country of Assyria defeated Syria in war, which made Syria weak. Then Jeroboam (king of Israel 793-753 BC) was able to get his land back. Jonah had said that God would cause this to happen (2 Kings 14:25). However, when the people of Israel won battles against their enemies, they became proud of their power. The people forgot the special relationship that Israel had with God. They thought that God might be angry with other nations, but not angry with Israel. Israel was God’s special people! It was at this time that the Lord sent Jonah to the city of Nineveh, the capital of the land of Assyria. God wanted Jonah to warn the people of Nineveh that He was going to punish them soon because of their evil lives. But God cared even for the Assyrian people in Nineveh. This means that God cares for everybody. Jonah expected God to punish the bad people of Nineveh, not to be kind to them. God shows Jonah that his thoughts are wrong. The people of Israel should care for everyone and everything that God has made. 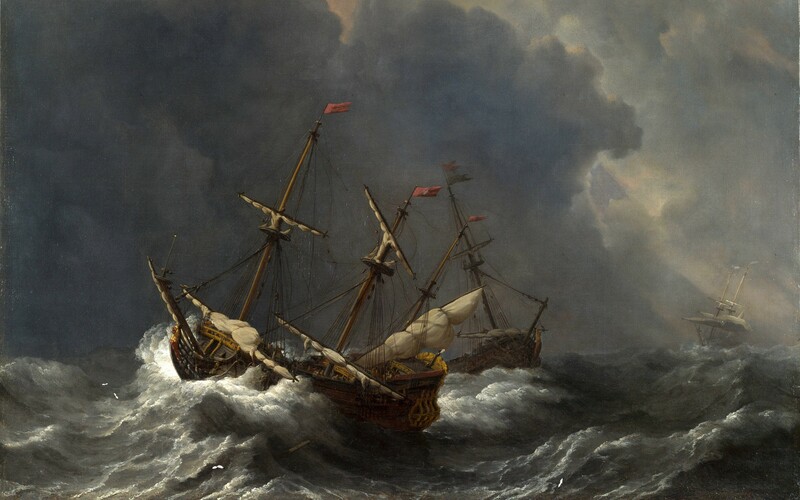 God chases after Jonah and even sends a mighty storm. Sin brings storms and tempests into the soul, into the family, into churches and nations; it is a disquieting, disturbing thing. Having called upon their gods for help, the sailors did what they could to help themselves. Isn’t it interesting that the sailors would be willing to part with wealth, pleasure, and honor, but make a shipwreck of their faith and a good conscience, and ruin their souls for ever! Jonah was fast asleep. Sin is stupefying, and we are to take heed because any time our hearts are hardened by the deceitfulness of sin, we become ignorant to it. Why do men sleep on in sin even when the word of God and the convictions of their own consciences, warn them to wake up and call on the Lord? Should we not warn each other to awake, to arise, to call upon our God, so He will deliver us? The sailors concluded the storm was a messenger of Divine justice sent to someone in that ship. Whatever evil is upon us at any time, there is a cause for it and each must pray, Lord, show me what I must do. The the sailors then blamed Jonah. God has many ways of bringing to light hidden sins and sinners, and making known that folly which was thought to be hidden from the eyes of all living. Yes, God wakes up Jonah to the fact that he was disobeying God and trying to run away. How do you take the story of Jonah, literally or figuratively? How do people run away from sinfulness? What are our responsibilities when we see someone who is not following God’s commands? Why does peril, a dangerous condition, bring one to recognize their own sinfulness? What lessons would this story teach someone? How would you use this story to help youth understand their God? 14 Even so the body is not made up of one part but of many. 15 Now if the foot should say, “Because I am not a hand, I do not belong to the body,” it would not for that reason stop being part of the body. 16 And if the ear should say, “Because I am not an eye, I do not belong to the body,” it would not for that reason stop being part of the body. 17 If the whole body were an eye, where would the sense of hearing be? If the whole body were an ear, where would the sense of smell be? 18 But in fact God has placed the parts in the body, every one of them, just as he wanted them to be. 19 If they were all one part, where would the body be? 20 As it is, there are many parts, but one body. Considers the case of spiritual gifts, which were very plentifully poured out on the Corinthian church. He considers their origin, that they are from God; their variety and use, that they were all intended for one and the same general end, the advancement of Christianity and the church’s edification (v. 1-11). He illustrates this by an allusion to a human body, in which all the members have a mutual relation and subserviency, and each has its proper place and use (v. 12-26). Closes with an discussion to seek something more beneficial than even these gifts (v. 31). Some Christians in Corinth thought that they were superior to other people because their gifts were easier to see and other people noticed them. Other people thought that they had no gifts or they thought that their gifts were less important. So there was false pride in the church making some people jealous. Using a human body to explain, the Apostle Paul points out that a human body is only healthy if all the parts work together. Every part is essential. Each limb is important. It would be stupid for the foot to be jealous of the hand. The word for ‘foot’ in Greek is very similar to the word for ‘ear’. So, Paul chose the ear as his second example. Both the ears and the eyes are important parts of the body. One without the other would stop the body from being whole. Paul shows that there would be no sense if a body had only one part. God has created a body with many different parts. But it is still one body. What do we lose when a church is not unified in its mission? So how is the concept of many gifts and talents different than a single common mission or goal? What benefits come from diversity of members? When we send our youth out into our communities to work together to help those in need, what benefits to the youth receive? What is the major benefit of learning your Spiritual Gifts early in life? So what was Jonah’s Spiritual Gift(s)? How should the Christian Church help its followers discover their Spiritual Gifts?